SREB is using a new approach to professional development to bring powerful teaching and learning tools into classrooms schoolwide, districtwide and statewide. 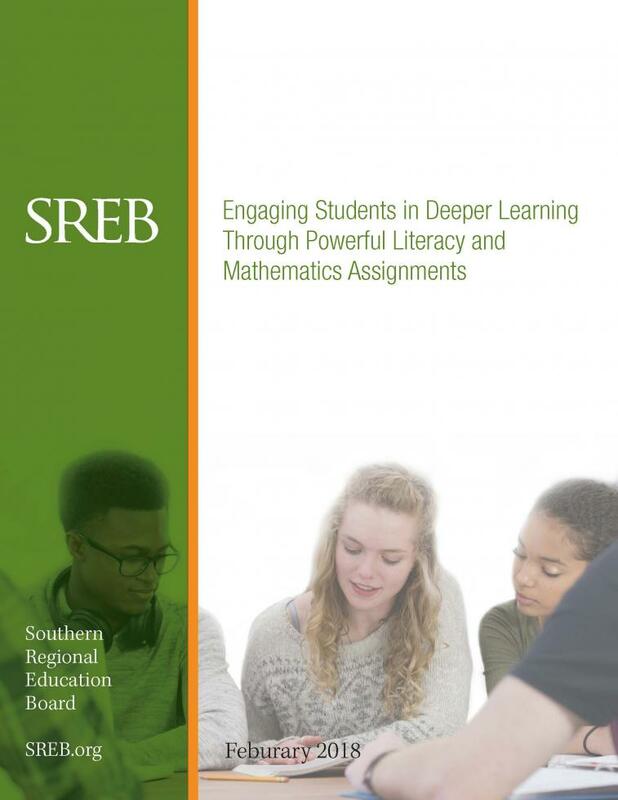 SREB’s powerful literacy practices and powerful mathematics practices help students reach the deep learning necessary to master college- and career-readiness standards. SREB partners with principals, local trainers and classroom teachers to significantly increase the percentage of students meeting state college- and career-readiness standards. 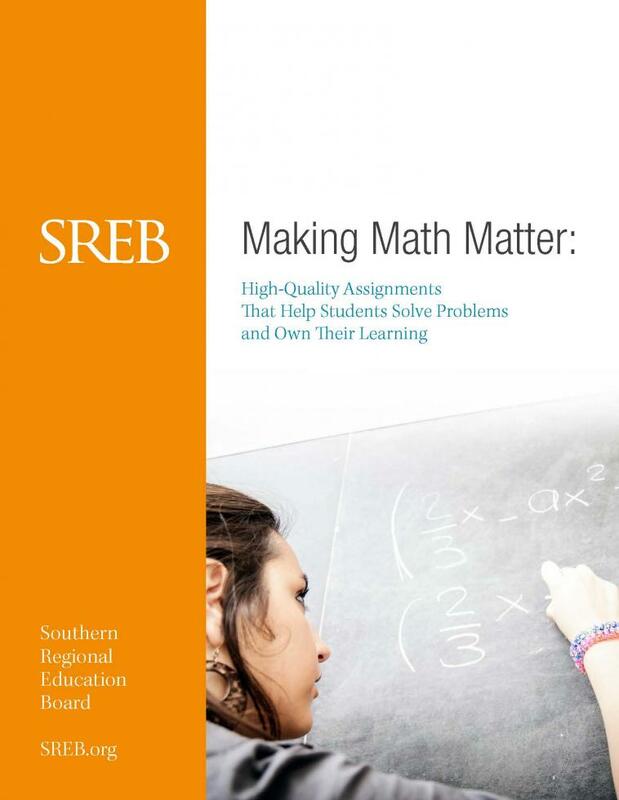 SREB builds capacity and sustainability within schools and districts by developing local expertise to spread powerful literacy and math practices to existing and new teachers. 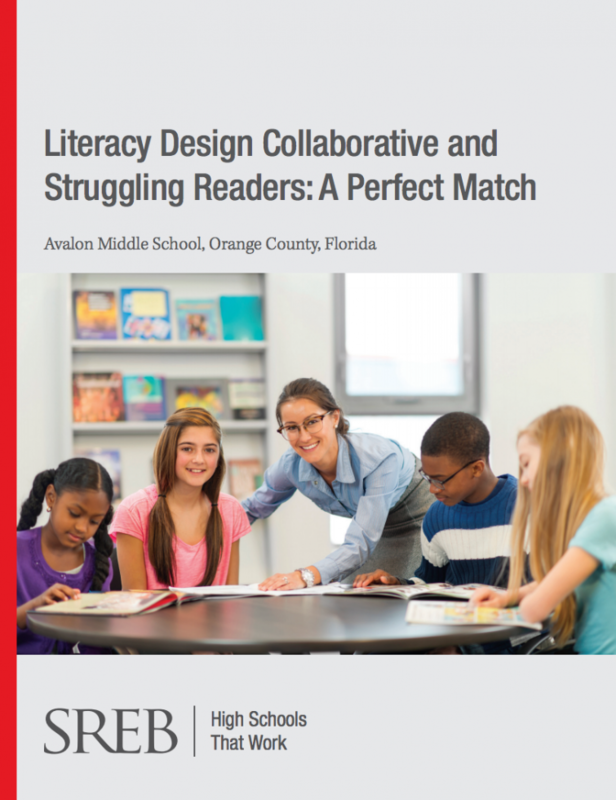 The teachers featured in this publication describe their experiences using literacy-based assignments to immerse students in grade-level assignments. Read how the practices increased student learning and achievement across disciplines. 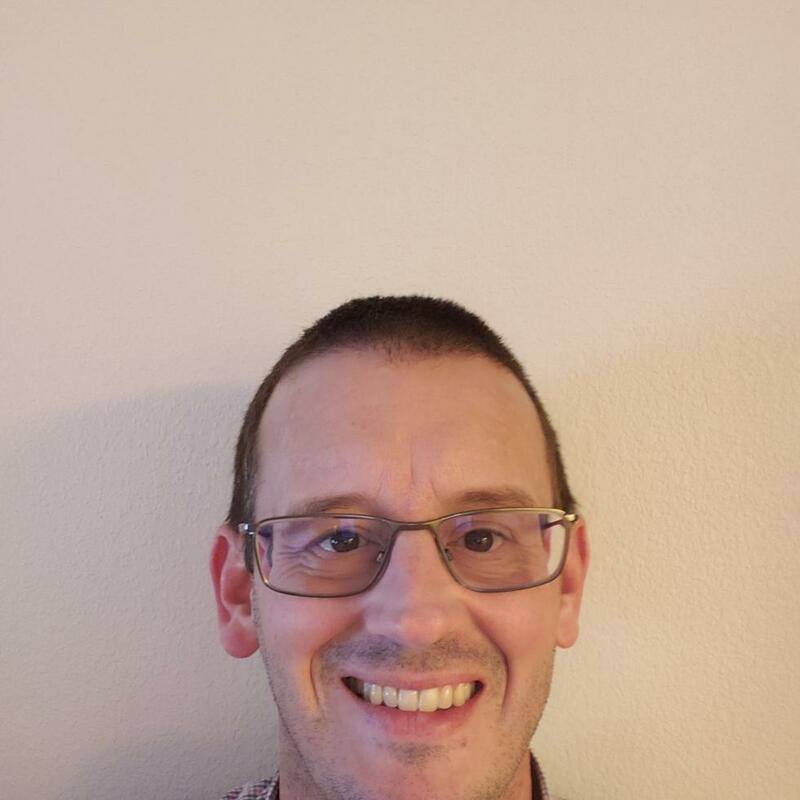 Too many students graduate high school without the foundational literacy and math skills needed to succeed in postsecondary education and careers. This can change if students are exposed to literacy and math practices that expose them to the types of grade-level assignments that will advance their achievement and prepare them for college and careers. 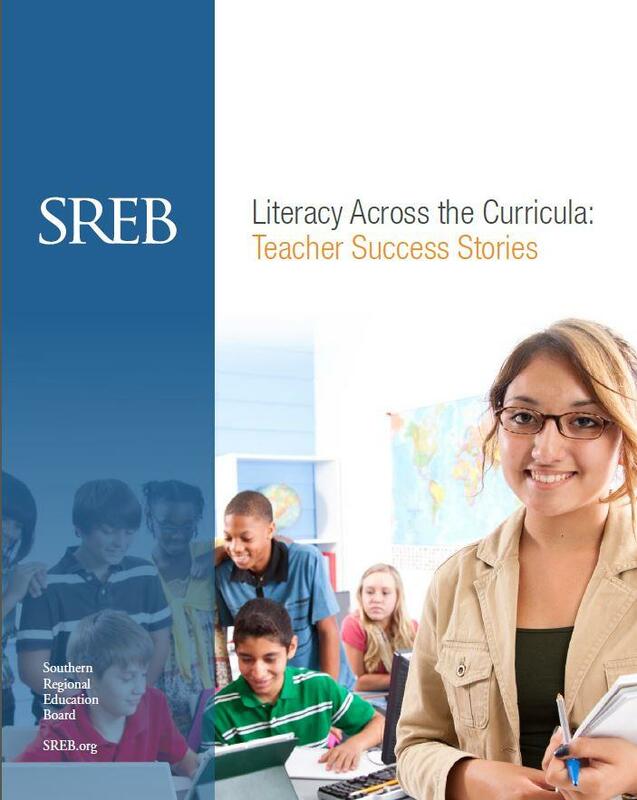 SREB offers professional development to teachers in powerful literacy and math practices that produce positive results. Read about survey results of more than 37,000 students. 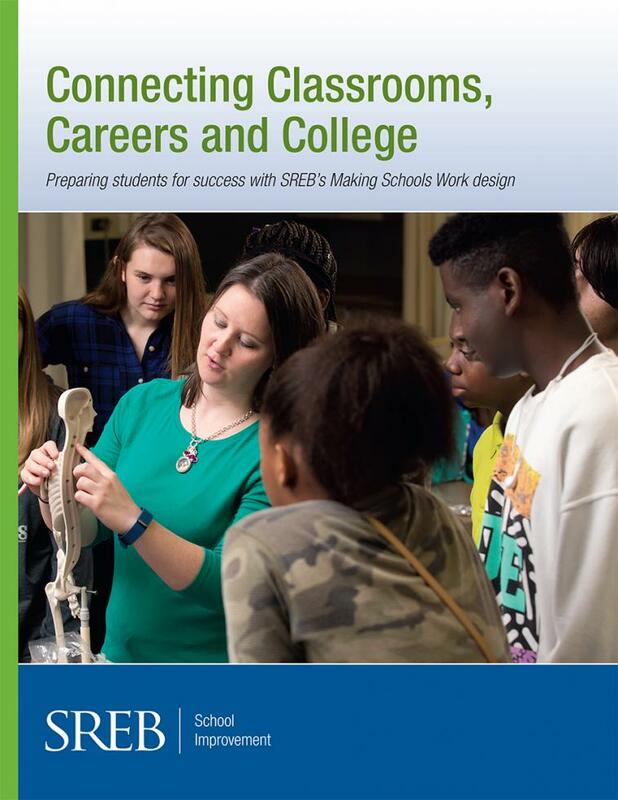 Connecting Classrooms, Careers and College offers a guide to SREB’s Making Schools Work school improvement process and related services. 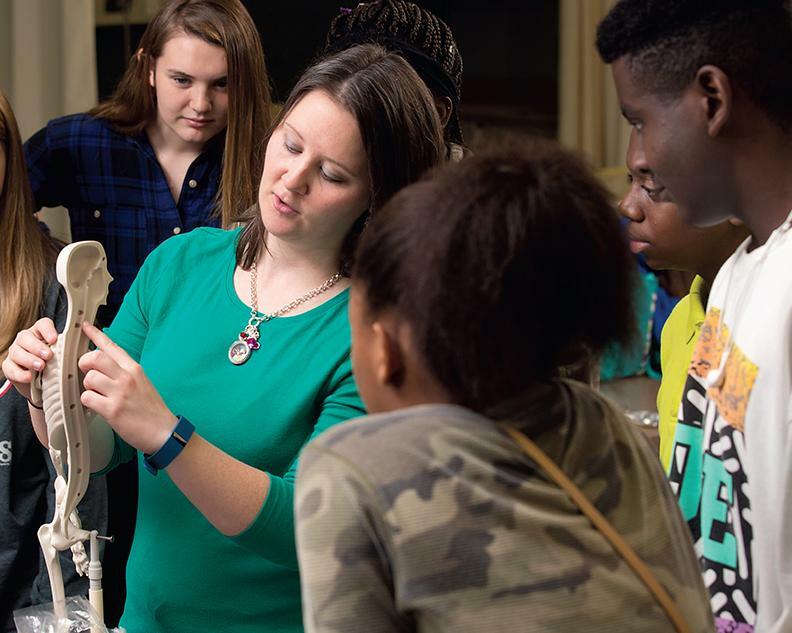 For more than 30 years, SREB has partnered with states, districts and schools to identify and implement strategies that motivate young people to put what they learn in the classroom to work in the real world. Our literacy and math training equips teachers with the tools they need to build engaging assignments aligned to college- and career-readiness standards. What’s your role in making sure students and teachers benefit from these strategies? Everything a teacher needs to know before attending our literacy or mathematics training. 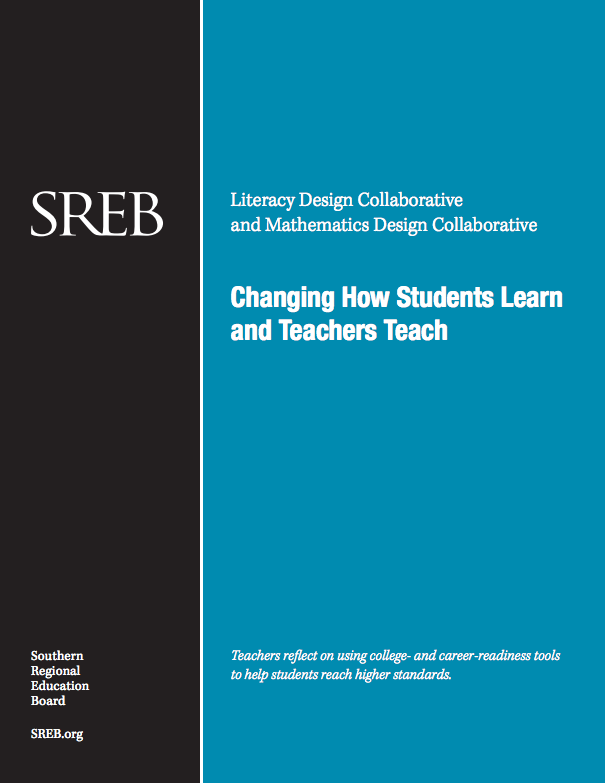 SREB offers professional development to help teachers adopt Literacy Design Collaborative and Mathematics Design Collaborative frameworks to build lessons that engage students in challenging texts in all disciplines. The Literacy Design Collaborative (LDC) brochure explains what LDC is and the benefits gained by incorporating literacy into all school content areas, not just English/language arts courses. The brochure also details the LDC implementation plan and teacher training offered by SREB. This publication describes how schools and teachers are using literacy and math strategies to engage students and prepare them for college and careers. Teachers and school leaders give first-hand accounts of their classroom experiences and share data on student achievement. A common misconception is that Literacy Design Collaborative (LDC) is not a good fit in classes geared toward struggling readers and writers. Nicole Craig, a reading intervention teacher at Avalon Middle School (AMS) in Orlando, Florida knows firsthand this is not true. Three Kentucky schools get results using Literacy Design Collaborative. 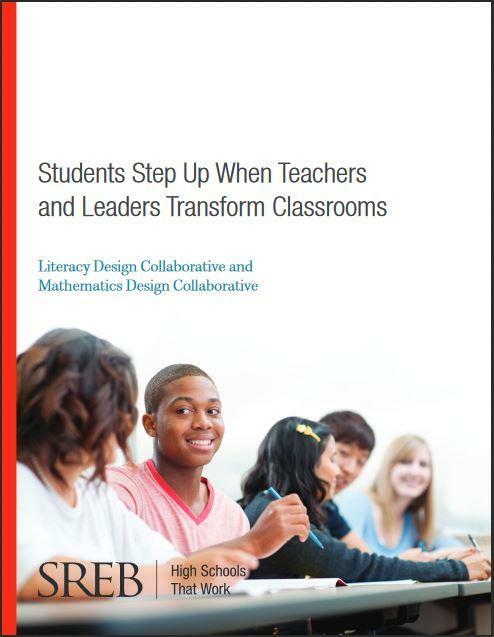 Teachers share success stories and describe changes in student motivation and engagement as a result of using the Literacy Design Collaborative and Mathematics Design Collaborative teaching frameworks.